There was only one kind of punishment possible: death. And so an endless escape begins: night-time, a boat, Naples, Sicily, Syracuse, Palermo, and on to Malta, La Valetta, for the protection by the Templars; then back to Naples, and on and on, until 28 June, 1610, when Caravaggio, aged thirty-seven, dies in Porto Ercole of malaria, it appears, while planning to return to Rome; dies without a pardon, unprepared for death. It was in the course of that protracted escape that the works currently presented in London had been created, just as numerous other works not included in the exhibition, but displayed nowadays in churches and museums. And it is clear now that Caravaggio the tempestuous, the mocker and the bully, was a slave to his art of painting. His brothers in craft of those days considered his art low and rough, but not everyone shared their opinion, if one is to judge by the long waiting list of his clients who commissioned the man “in difficult financial circumstances”, and who were willing to pay him considerable sums in genuine heavy ducats. He left no treatises or letters for posterity. One of the few extant authentic documents is a report of an interrogation of Michelangelo Merisi da Caravaggio, dated 1603. We can assume he had several arrests to his name. But even from a cut and dried court report one can see the kind of man he was: fiercely independent and proud of his craft. The interrogation took place on 13 September, 1603, in connection with a complaint lodged by a painter named Baglone who was accusing Caravaggio of libel. Times were rough: three years earlier Giordano Bruno had been executed by burning at the Piazza del Fiore. “A few days ago I was arrested at the Piazza Navona, for reasons unknown to me. I believe I know almost all painters in Rome, beginning with valentiomini (worthy people); I know Giuseppe, Carracci, Zuchari, Pomarancio, Gentileschi, Prospero, G. Andrea, G. Baglone, Gismondo and Giorgio Todesco, Tempesta, and others. Almost all of the painters I have mentioned are friends of mine, but not all of them are valentiomini. Among the painters I have mentioned earlier I believe Giuseppe, Zucharo, Pomarancio, and Hannibale Carracci are good painters; the others are not valentiomini, in my view. I do not know any painters who would praise and consider as good the artists whom I do not recognise as good. I do not know whether there exists a single painter who would praise Giovanni Baglone as a good painter. 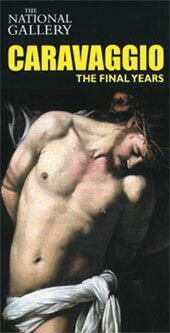 I have seen almost all of his works… including The Resurrection of Christ quite recently, in Gesu. In 1606, the year of Caravaggio’s escape, Rembrandt was born, perhaps the greatest psychologist among painters of all times, who had learned a lot from the genius of Lombardy. On his way back to Rome he contracted malaria. The Pope’s pardon came too late. A great man of ill fortune. Caravaggio: The Final Years. An exhibition at the London National Gallery. The exhibition consisted of forty-three works, including canvases on loan from the museums of Milan, Rome, Palermo, Naples, Catagna, Vienna, La Valetta, Messina, Syracuse, New York, Arensano, Cremona, Florence, Worcester, Madrid, Paris, Rabat, Munich, London, as well as from private collections. Among the works are some of the indisputable masterpieces: Christ in Emaus, The Resurrection of Lazarus, The Beheading of John the Baptist, Salome with John ’s Head, and St. Ursula. This typical Italian story was borrowed by Shakespeare from Matteo Bandello. Incidentally, Shakespeare and Caravaggio were contemporaries, and the English playwright would have well understood the dramatic turns of Caravaggio ’s plight. Let us recall the fight in a tavern that had resulted in the death of his friend Christopher Marlowe; it is a pity that Shakespeare was not aware of the “passions”.